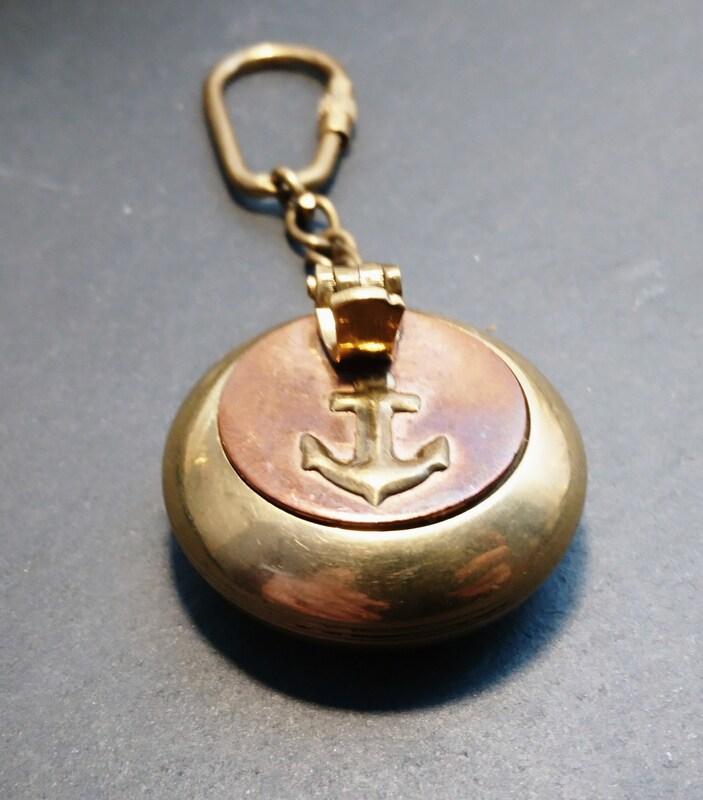 A fantastic vintage c1940's maritime themed brass and copper travel or pocket ashtray. 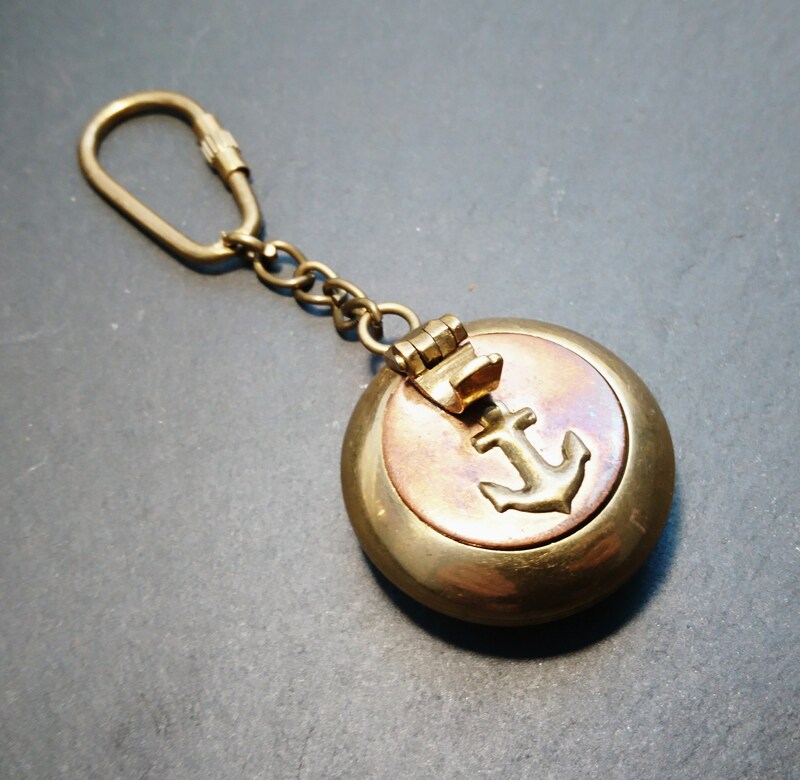 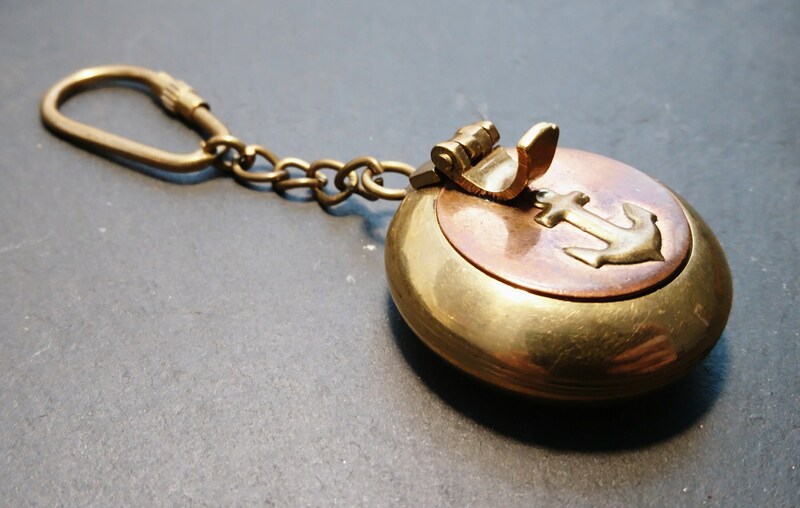 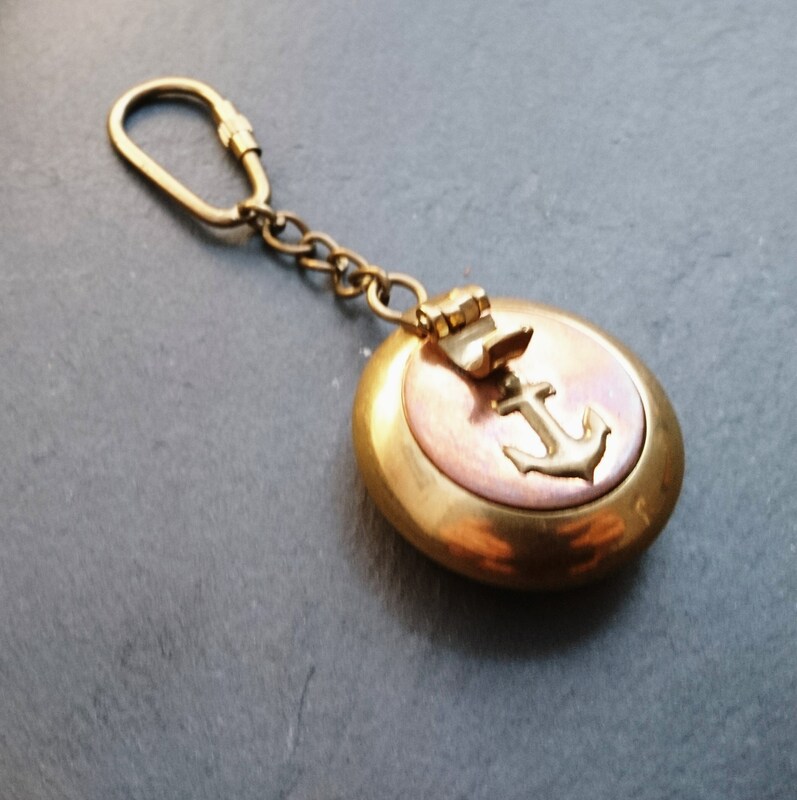 Made from a mix of copper and brass it has an anchor in relief at the front, a small catch to lift and a place to rest your cigarette. 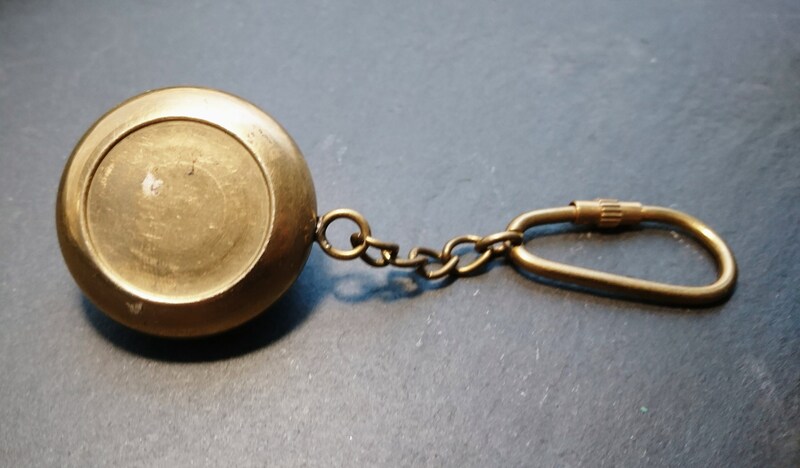 It can be hung from a belt as it has a brass chain with a screw type karabiner type fitting. 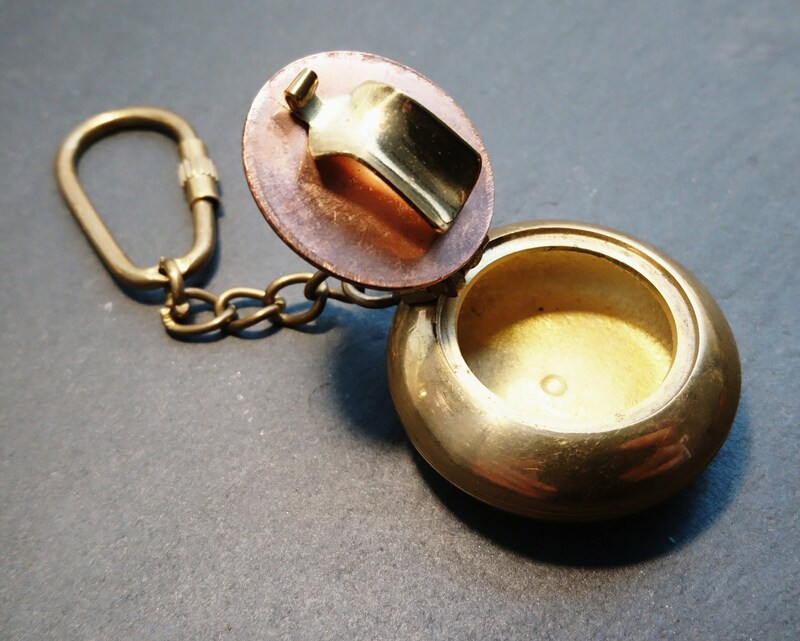 A lovely little piece of tobacciana. 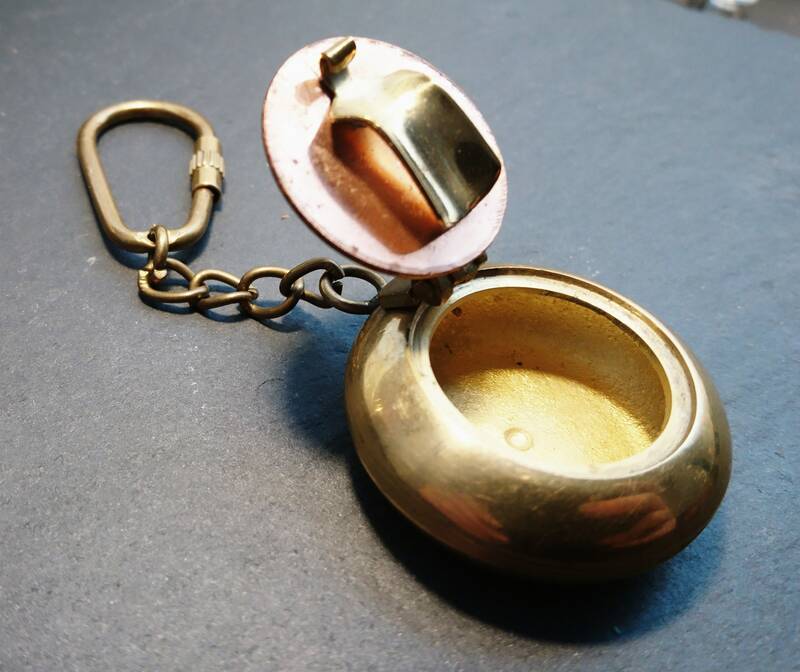 Approx 1.5" width and 2.5" chain.